Hello and welcome to GetWebInfo.Com. Here on this post I will tell you that how can you compress 1GB into 10MB using KGB Archiver. Have you ever used KGB Archiver? Well, it's a very useful tool for compressing large files. It can even compress a 1GB file into 10MB which seems to be impossible,right? Actually no, you can totally do that with KGB Archiver. 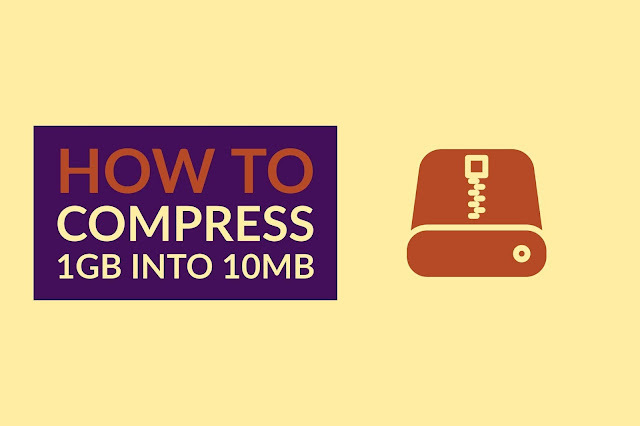 Read this guide and learn about how can highly compress files using KGB Compressor and upload them on cloud storage to save time and internet data. Transferring one or more than one huge file from one device to another. can be tricky and time- consuming. Even if you use Share it for PC( it uses local Wi-Fi for transferring data between devices). The job will still take some good amount of time depending on file size. Step 01: First of all, you have to download and Install KGB Archiver from the link mentioned below. After doing the jump to the next paragraph. Step 02: Now you have to open KGB Archiver from you application menu (window start menu for windows users). In the KGB window, you will see options to Choose the file you want to compress and level of compression you want to do. For this instance, you have choose the Highest Compression level. Yeah, that will do the job. Now after you press the compress button you have to wait for quite some time. Step 03: After some time, you will see your file will be compressed to a minimum size. Remember that this program has different compression level high, maximum, normal, low, very weak, the time of compression will depend on the level you choose to do the compression. That's it, After the process finished check the new file size, you will be amazed for sure. Guys i'm thinking to make a video on this topic, what you people say. Let me know if you have found this post useful. If you like this article so please share it with your friends on social media, Thanks!